Dominique Anglade, Minister of Economy, Science and Innovation and Minister responsible for the Digital Strategy, and Gaétan Barrette, Minister of Health and Social Services, announced that the Government of Quebec will extend its agreement with Quebec-based company CAE, until 2020. The agreement established a research and development program that is now estimated at a value of $192.3 million. The program focuses on developing new technologies and services in the field of simulation and training for the healthcare sector. The financial contribution made to CAE in 2009, in the form of a repayable investment to a maximum amount of $99.8 million, has been adjusted to $70 million and will allow the government's support to continue. "CAE is a great example of intersectoriality in research and development. Our continued support will allow this world leader in medical simulation to continue designing new technologies here, in addition to showing that Quebec can attract major research and development investments," stated Minister Dominique Anglade. "Our government is proud to provide continued support for CAE Healthcare's research and development program. To date, CAE Healthcare has provided more than 10,500 simulators and audiovisual solutions for medical schools and hospitals, in particular. 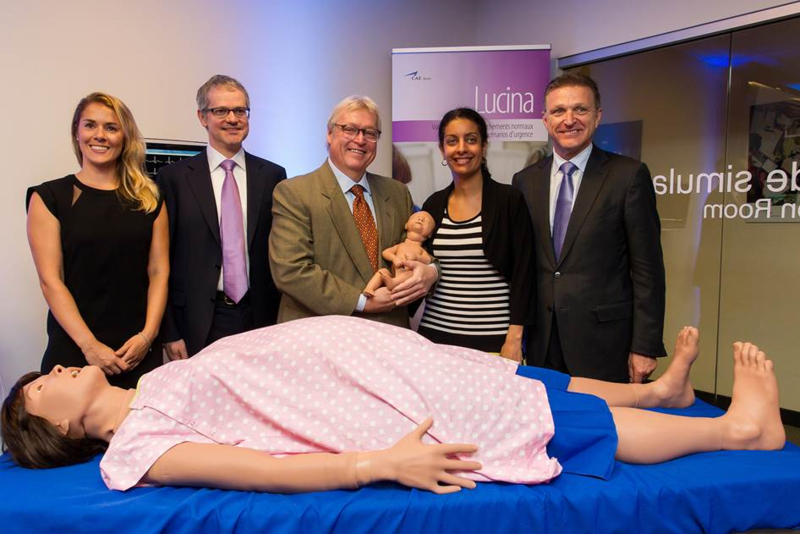 CAE is recognized for its world-class simulation technologies that contribute to Quebec's international stature," stated Minister Gaétan Barrette. "We have quickly become the world leader in medical simulation technologies and we are making a difference by helping health professionals provide the best possible care for their patients," said Marc Parent, President and CEO of CAE. "It is a noble mission, and we are proud that our technological advances in healthcare could be achieved through the research and development work that we do in Montreal. We have succeeded because of our employees and thanks to support from the Government of Quebec." CAE is a world leader in simulation and training for civil aviation, defence and security, and healthcare. The company, whose headquarters are located in Montréal, employs 8,000 people worldwide, including 3,100 in Quebec, and has a network of 160 sites and training locations in 35 countries, as well as the largest fleet of full-flight simulators in the world. To receive real-time press releases from the Minister of Economy, Science and Innovation, sign up for the appropriate RSS feed at https://www.economie.gouv.qc.ca/ministere/english/about-us/.